Lyon Faubourg price per day from € 115 Located in the village of Saint-Priest, a 20-minute drive from Lyon, this B&B offers contemporary rooms with LCD TVs and balconies, an outdoor swimming pool with salted water and a sauna. The continental breakfast is served daily in the dining room..
Best Hotel Lyon - Saint Priest price per day from € 48 Best Hotel Lyon-Saint Priest offers quality accommodation and service in the East of Lyon. All of the guestrooms are modern, comfortable and feature free Wi-Fi internet access. It is less than 6 kilometres from the city centre of Lyon. 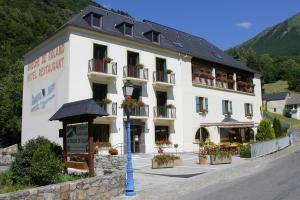 La Bourbonnaise price per day from € 82 The Bourbonnaise hotel has been existing for more the 50 years. Establishment of 2 restaurants: The Buffet Grill and the traditional Restaurant Pascual, 2 terraces in the heart of a blooming garden, a grill that proposes buffets and dishes cooked with fresh produces from the market. Artys Hotel price per day from € 49 The Artys Hotel is only one minute away from Highway A46 (Eastern "Rocade"), 15 minutes away from St Exupéry International Airport and 10 minutes away from Eurexpo Exhibition Centre. The guest rooms are spacious and bright and have free Wi-Fi access and TV with cable channels. A buffet breakfast is served daily in the breakfast room which has views of the garden..
Inter-Hotel Cris Hotel price per day from € 59 Located 15 minutes away from the centre of Lyon, between sea and mountains, the hotel offers a warm and friendly welcome. Inter-Hotel Cris Hotel benefits from a privileged location from which to discover the hidden treasures of the Rhône-Alpes region..
Campanile Lyon Sud Feyzin price per day from € 53 . Soleil et Jardin price per day from € 82 The Soleil et Jardin Hotel is located in the village of Solaize, only 12 minutes from the wonderful city centre of Lyon in a wonderful countryside location near the A7 Motorway. It is situated on the village square in Solaize and offers a variety of facilities and services for all types of guests, including families and business travelers. Mercure Lyon Est Chaponnay price per day from € 63 Mercure Lyon Est Chaponnay is ideally located in the South East of Lyon, just off the A46 motorway. The en suite bathroom includes a shower and a hairdryer. Ibis budget Lyon Est Chaponnay price per day from € 40 . Town of Mions (~3.7 km). Town of Feyzin (~7.6 km). Town of Vénissieux (~9.7 km). Town of Saint-laurent-de-mure (~10.3 km). Town of Grenay (~11.2 km).